Boxie is an amiable talking virtual pet, which can grow into any animal, depending on food you treat it with (i.e. fruit and veggies, or meat delicacies. 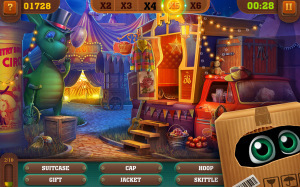 Sated, Boxie likes to play various mini-games, which are divided by genre. Visit puzzle playground for logic and board games, like mahjong solitaire or memory game. Arcade sandbox is waiting for you to play bubble, Match 3 or jumping games. 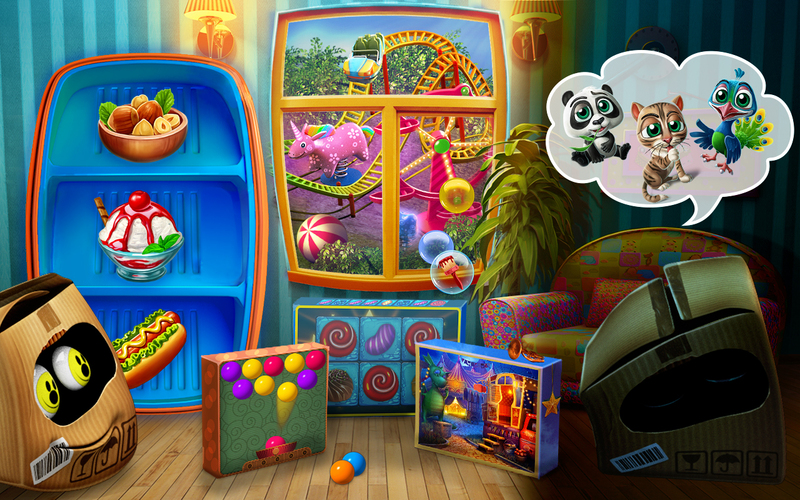 There also 8 and counting hidden object scenes. Every new pet risen appears in a Boxipedia, bringing hourly coin bonuses. The book also features fun and true facts about the unlocked animals. Social features include gift exchange (foods, VIP animals, Boxie apparel). 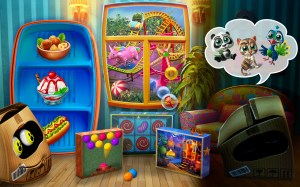 Play dozens of games with your virtual pet!